Christmas vector art pack with cute Xmas doodles for your Xmas and New Year graphics. A hand drawn Christmas seamless pattern ready for textiles, greeting cards, wrapping paper and holiday designs. Hand drawn art is perfect for Christmas, it's personal, creative and kids love it. 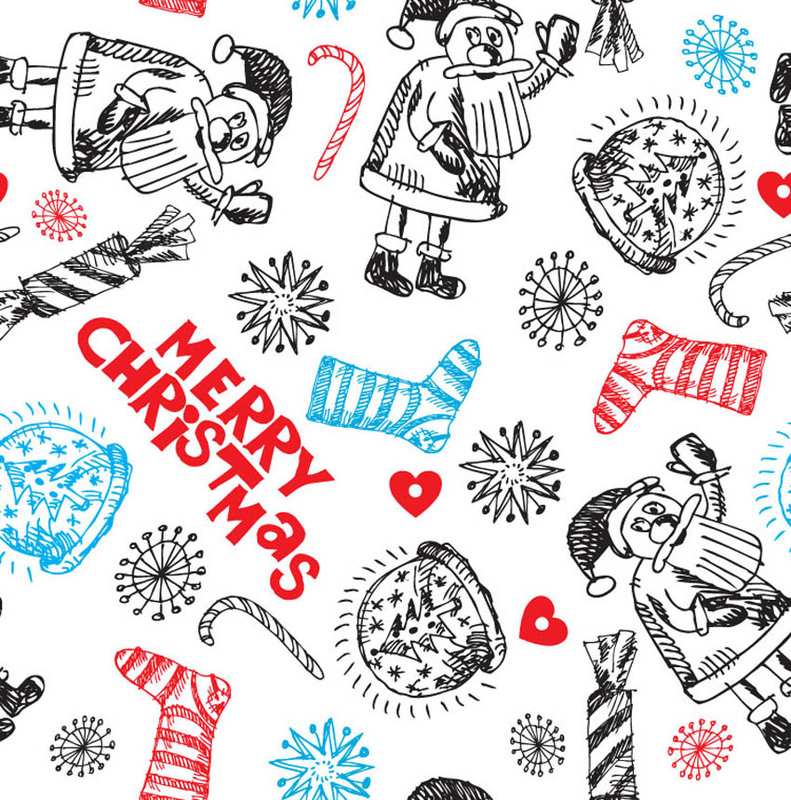 Download this fun doodle pattern for your festive themed digital art projects. Tags: Cartoons, Christmas, Drawing, Holidays, Santa Claus, Snow Flakes.